We supply quality gear from some of Europe's largest manufacturers. Rope: Polysteel, Polyethelene, Mono, Staple, Spun, Split Film. 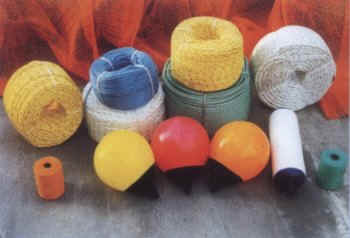 ALso Netting, Twine, Buoys, Spinners, Oilskins, Boots and Gloves.